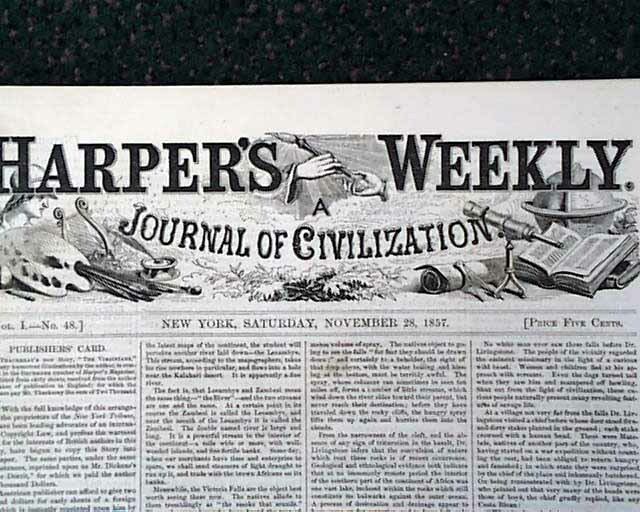 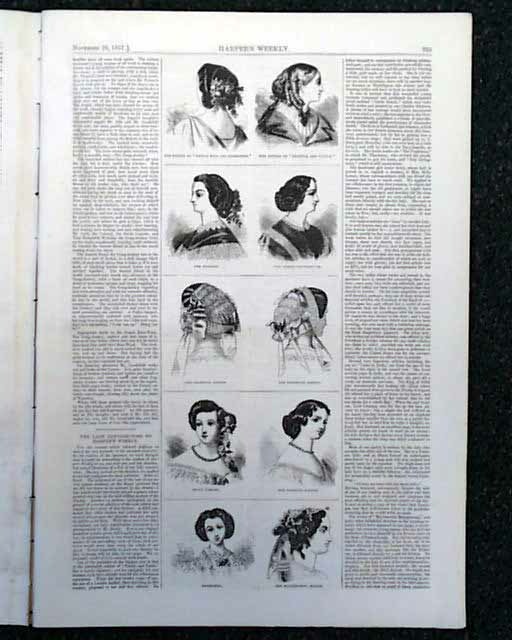 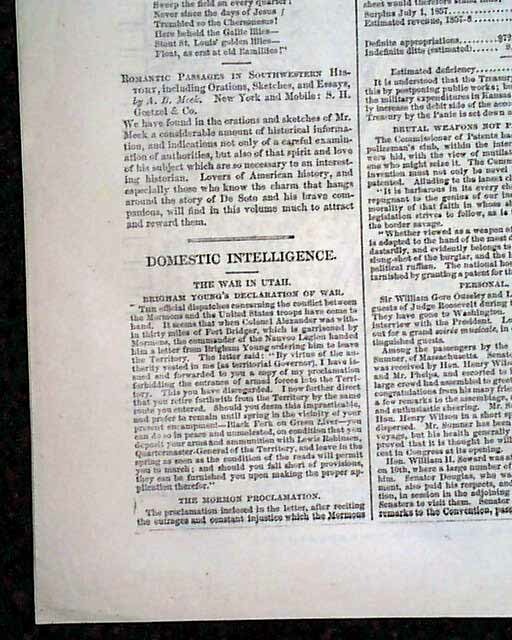 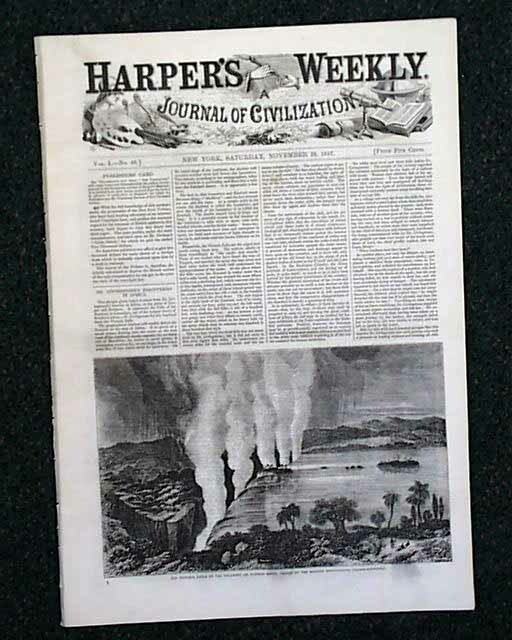 HARPER'S WEEKLY, New York, November 28, 1857 The front page article: 'Dr. 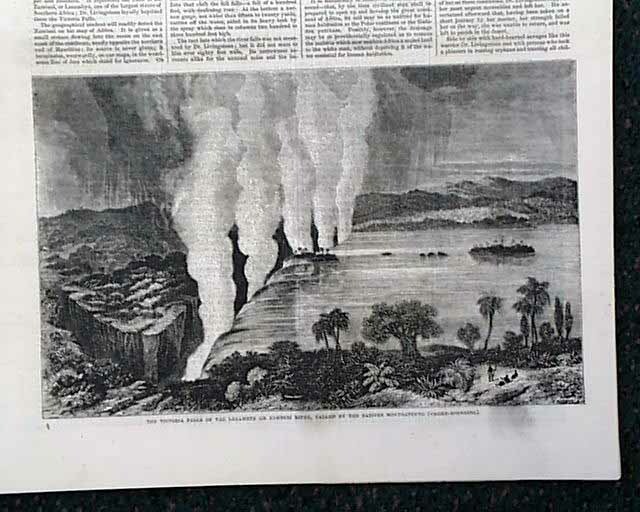 Livingstone's Discoveries in Africa' includes a nice nearly half-page illustration of the famous 'The Victoria Falls of the Leeambye or Zambesi River, Called by the Natives Mosyoatunyo (Smoke-Sounding)'. 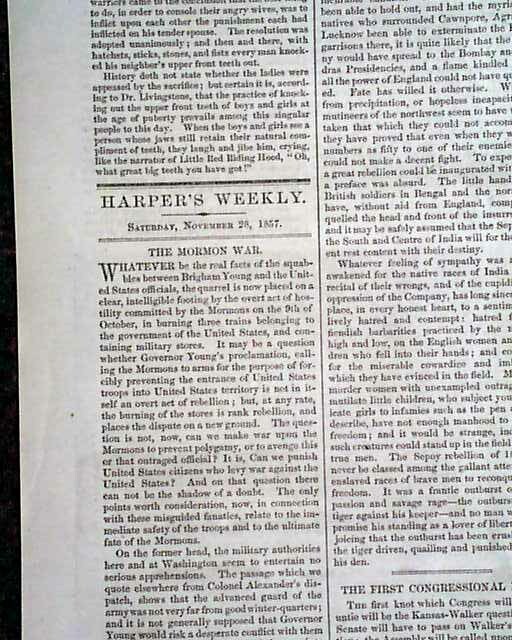 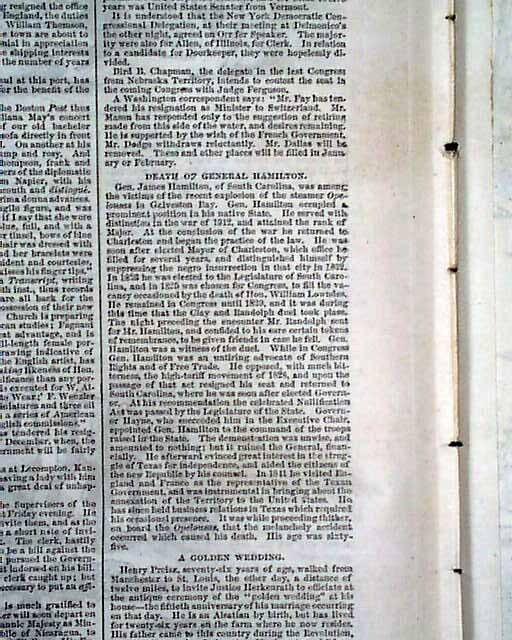 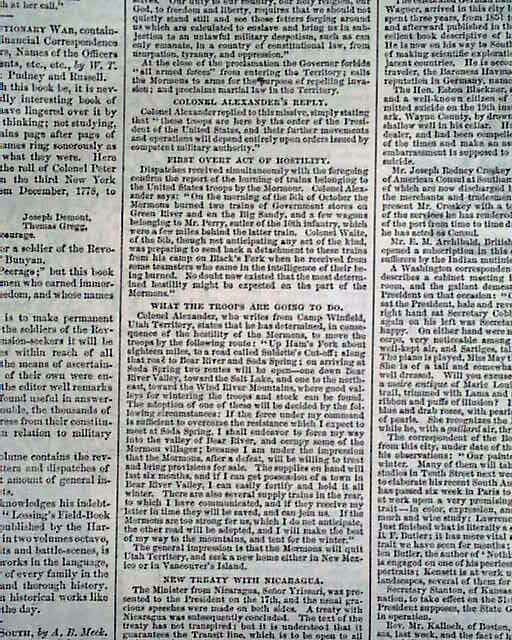 A text article: "The Mormon War" which is dealing with the quarrel over hostility committed by the Mormons on the October 9, 1857. 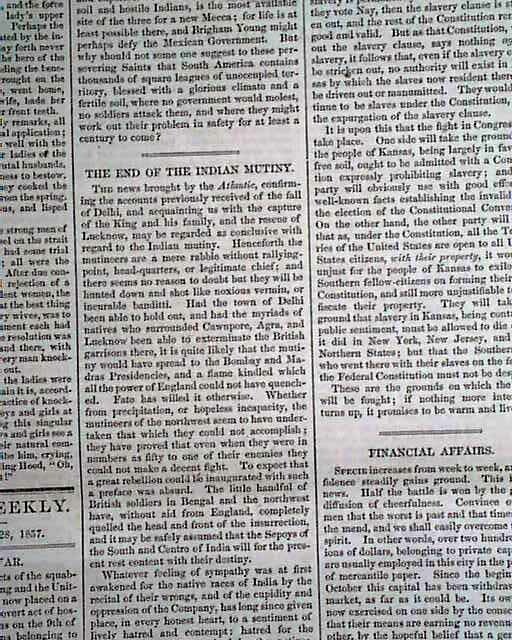 Two other text articles "The War in Utah - Brigham Young's Declaration of War" and "The Mormon Proclamation" are also within this issue. 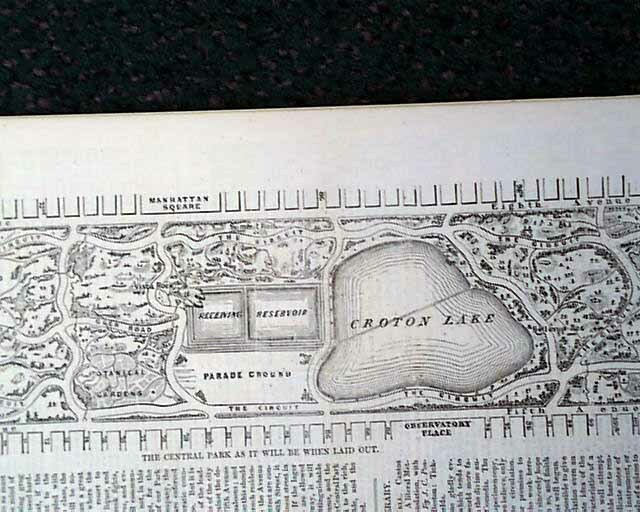 Nice one-third page illustration: 'The Central Park as it Will be When Laid Out'. 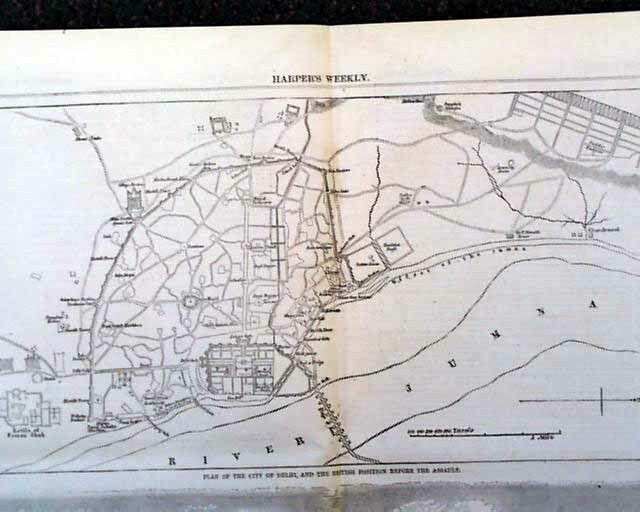 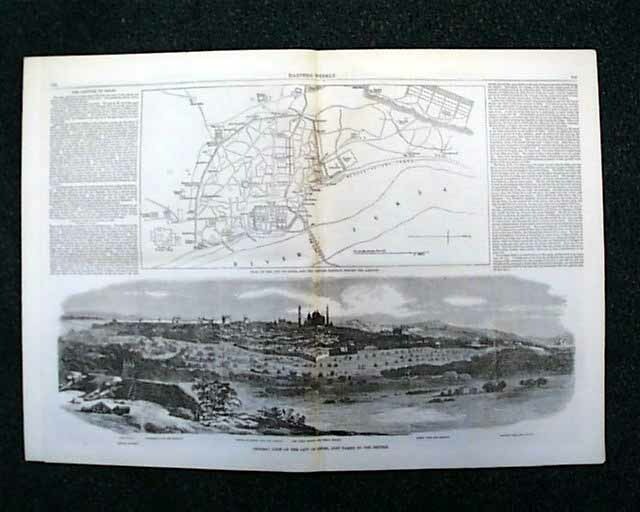 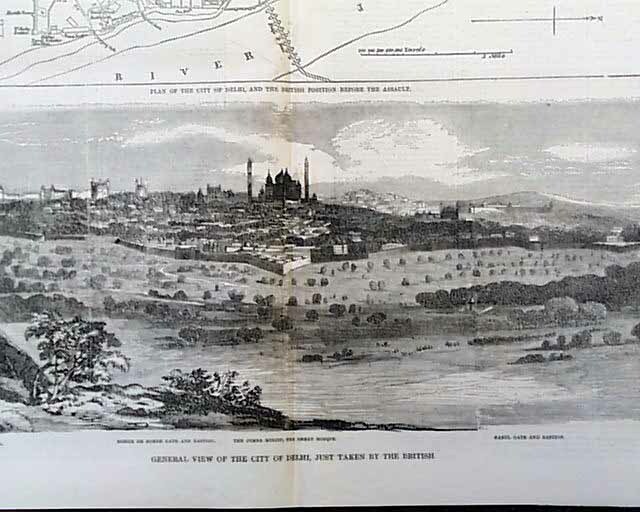 "The Capture of Delhi" features two illustrations on the double-page centerfold: 'General View of the City of Delhi, Just Taken by the British' and 'Plan of the City of Delhi, and the British Position Before the Assault'. 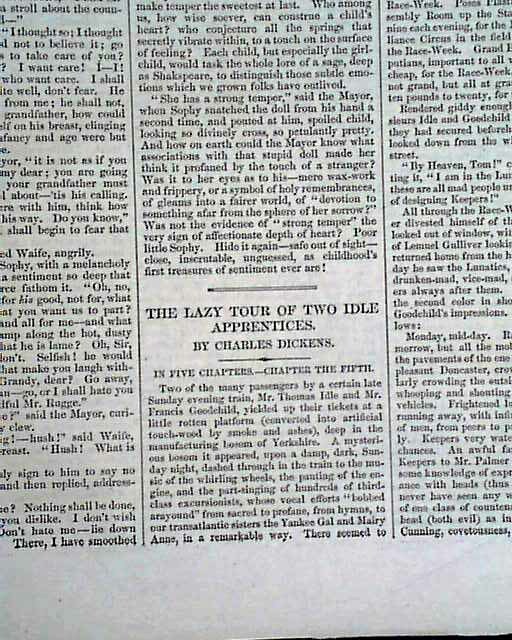 "The Lazy Tour of Two Idle Apprentices" by Charles Dickens, the fifth and final chapter of five. 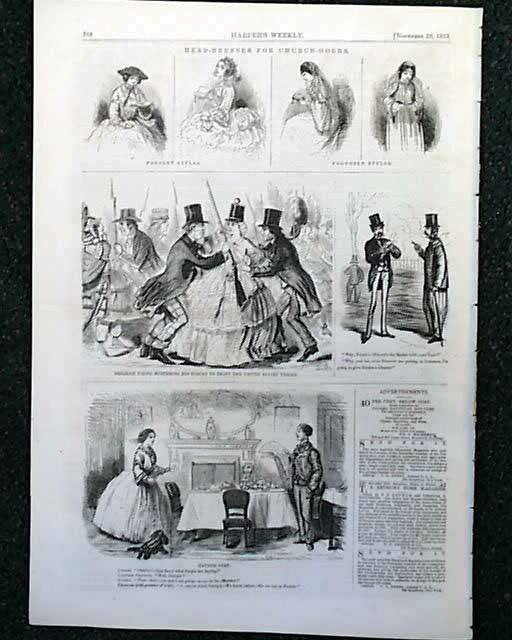 Complete in 16 pages, in good condition as shown and contains additional prints and related text. 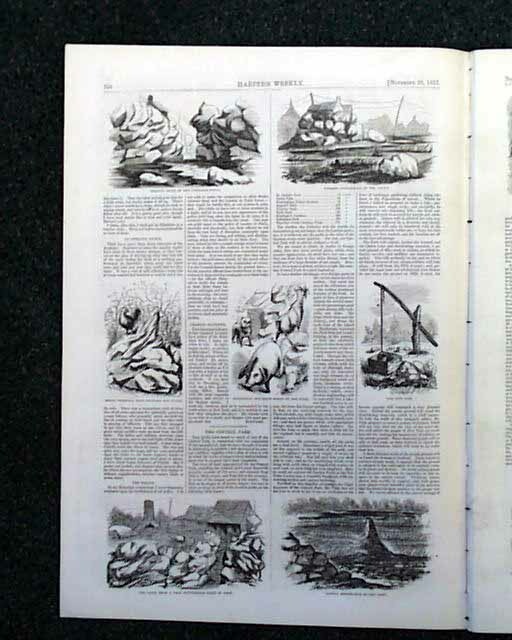 Please Read Note Concerning HW Images & Supplements!